Following a London appearance by Akbar Al Baker, Qatar Airways CEO, it looks as though Qatar may have settled its differences with other OneWorld Member CEOs. Toward the end of 2018, the airline made repeated threats to leave the alliance following allegations of other airlines being unsupportive. Qatar had threatened to leave the 13 airline alliance after a disagreement with both American Airlines and Australian Airline Qantas. However, the mood yesterday couldn’t have been more different, with Al Baker appearing friendly with Qantas CEO Alan Joyce. In November Qatar CEO Akbar Al Baker has been threatening to leave OneWorld. In fact, as recently as mid-January, he threatened to miss the key meeting between OneWorld CEOs. The reason? Disagreements with both Qantas and American Airlines. Al Baker has accused both airlines of targeting his airline by acting unlike an alliance partner should. In the case of American Airlines, the carrier has reportedly made claims to the US Government about Qatar. The claims include breaching the open skies agreement held with the US by expanding Air Italy. While not making any reference to whether the differences were close to being resolved, it was Al Baker’s behaviour that perhaps revealed more than anything else. Members of the press were warned that some airline CEOs may have to leave early due to busy schedules. One of these individuals was Al Baker who left while the questions were ongoing. He obviously couldn’t say goodbye to all of his colleagues without disrupting the press conference. However, he picked out Qantas CEO Alan Joyce. Having previously called out Qantas as a reason for leaving, this friendly gesture could indicate that the ice is thawing between the two carriers. Additionally, he had a very busy schedule in Qatar today. It is questionable as to whether Al Baker would have attended the conference if he had no intention to stay in the alliance. Do you think Qatar will remain in OneWorld? Let us know in the comments down below! It is very difficult to look at “body languages” and behaviours, plus hanging on to some “morsels” of “indications” by finding out what-so-and-so-said-to-who-and-who-acknoweledges-who , to come to any convincing judgements and conclusions. We simply do not know. Unless we have a fly-on-the-wall access to what was really being discussed between and amongst the CEO’s especially between Al Baker and Alan Joyce, and Al Baker and Doug Baker, at the moment, it would be safe to say we know next to nothing about what Qatar Airways will be doing in relation to its membership in OneWorld ! No doubt Qatar Airways is a very important member in the One World Alliance, so some of the other partner airlines would probably try to encourage the airline to remain with the Alliance. Is Al Baker’s acknowledgement to Alan Joyce before he left the press conference any indication that relationship between the two airlines has thawed? Who knows? The ideal situation would probably be if Qatar Airways and Qantas were to come round to agree that in the future, Qantas would eventually ditch Emirates and replace its partnership with its Australia-MidEast-Europe/US flights with Qatar Airways. However, there is absolutely NOTHING, and I repeat NOTHING, to even faintly suggest that. Wishful thinking are not facts. As for the differences between American Airlines and Qatar Airways with respect to Air Italy, could the fact that Air Italy surprise ending its Milan-to-Asia flights so soon, a sign that some kind of “understanding” might haven been struck between AA and QR? Again, nobody but the inner-circle CEO would know. “Outsiders” like us know nothing . It is certainly too early, to even make any guesses. You’d need more information and facts to be able to make confident judgements. 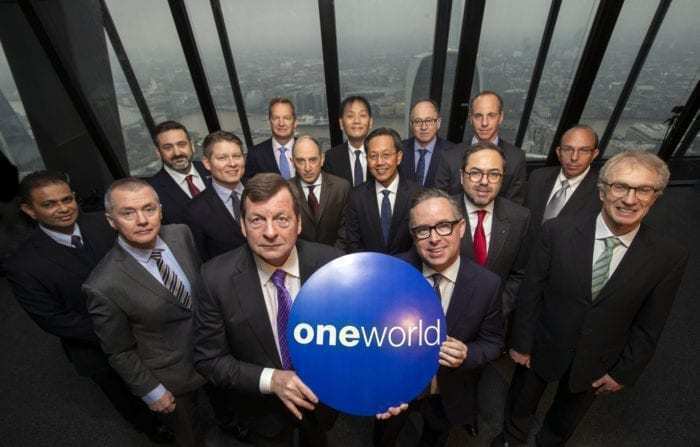 What little has been seen at the OneWorld Alliance meeting is too tenuous to be called “conclusive evidence”, because it is not evident at all ! Who knows, don’t be too surprise if Qatar Airways may make a surprising announcement that it has decided to leave OneWorld after all. Most of us hope that won’t happen, but only time will tell.